Released 13 September 2010, reached number 15, on chart for 2 weeks. Kerry also appears on 'Badger Swagger' by Arful Badger, alongside Brian, and a version of 'Somebody To Love' by Only Men Aloud, without him. Track 1. Written by Brian May. Length 5:58. Track 2. Written by Benny Andersson, Björn Ulvaeus and Tim Rice. Length 3:15. This track appears in the musical 'Chess'. Yeah, how can I leave her? Track 3. Written by Don Black and Brian May. Length 3:55. Track 4. Written by Stephen Schwartz. Length 4:16. This track appears in the musical 'Wicked', and segues into 'I'm Not That Girl'. It was recorded by Idina Menzel and released as a single in 2007. Track 5. Written by Stephen Schwartz. Length 3:47. This track appears in the musical 'Wicked', and segues from 'Defying Gravity'. Track 6. Written by Benny Andersson, Björn Ulvaeus and Tim Rice. Length 4:27. This track appears in the musical 'Kristina från Duvemåla'. What is it Lord that you want that I am not seeing? What in my innocent prayers am I failing to say? Who is to save me if into the darkness I fall? Do you hear when I call? Are you there after all? Who when I die will throw open his arms to receive me? Who will believe me and take me into his embrace? When I have gone to my rest, will you watch me and wake me? When my time comes at last, will you grant me your grace? Track 7. Written by Dan Gillespie Sells, Richard Jones, Kevin Jeremiah, Ciaran Jeremiah and Paul Stewart. Length 3:34. This track was originally recorded by The Feeling, and reached no 18 in 2006. Track 8. Written by Brian May. Length 3:58. This track was originally recorded by Queen and appears on the 1980 album 'The Game'. Track 9. Written by John Barry and Don Black. Length 3:04. This track was originally performed by Shirley Bassey and is the title track of the 1971 James Bond film of the same name. It reached no 31 in the UK charts. Track 10. Written by Brian May. Length 5:18. This track was originally released as a free download on 19 March 2005, and later as part of the 'We Will Rock You - Around The World' EP. It also appeared on the 'Wicked In Rock' taster CD. The track was originally recorded by Queen and appears on the compilation album 'Queen Rocks'. Track 11. Written by Brian May. Length 3:09. This track was originally titled 'Some Things That Glitter' and appears on the Queen + Paul Rodgers album 'The Cosmos Rocks'. This is an acoustic version of the track, featuring just Kerry, Brian on guitar, and tambourine towards the end. Non album track. Written by Alan Bergman, Marilyn Bergman and Marvin Hamlisch. Length 2:58. 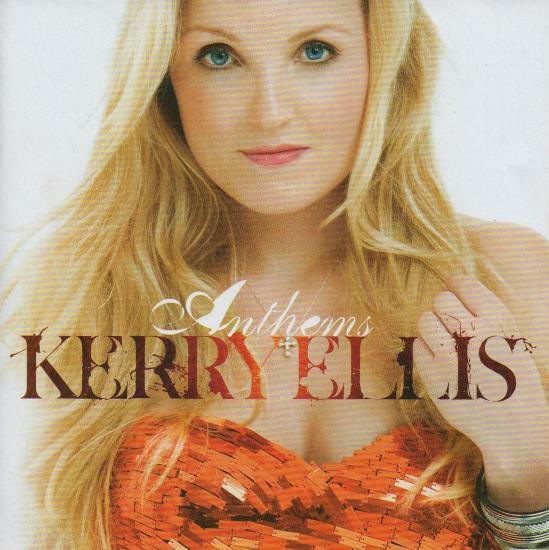 This track was released on Kerry's 2014 solo album, 'Kerry Ellis'. It features Brian on acoustic guitar throughout, alongside an orchestra. The track was originally recorded by Barbra Streisand, and released as a single in 1974.